Even though probably half the country is already sick of the bitter cold, we’re headed to Montana later this week and I could not be more excited to spend a few days in the snow. Since we (never!) see that in San Francisco, I have to remind myself what cold weather dressing looks like. But I don’t want to just go head to toe puffer jacket. It would be nice to maintain a touch of style. The following looks are giving me some major inspiration. You can’t go wrong with a jumbo scarf. They’re a statement maker. They dress up any basic. And they’re easy to peel off in warm spaces. You can go monochromatic – everyone should have both a black and camel scarf in their repertoire – but I love a good eye-catching print. Turtlenecks my friends. They are no longer reserved for college professors. Yes, it’s a bit of 90’s throwback, but I’m so into it. Layered under button-downs, sweaters, and ankle skimming coats – you’re going to look elegant and stay cozy all at the same time. I, for one, am stocking up. And while it can be a little hard to look particularly stylish while actually on the slopes (wind burn anyone), I’m excited to get my aprés ski on after some good runs. A super cute fitted ski sweater, a good hat and some kickin’ snow boots are a great place to start. Ok, I think I have my list in hand. The packing bonanza begins now. 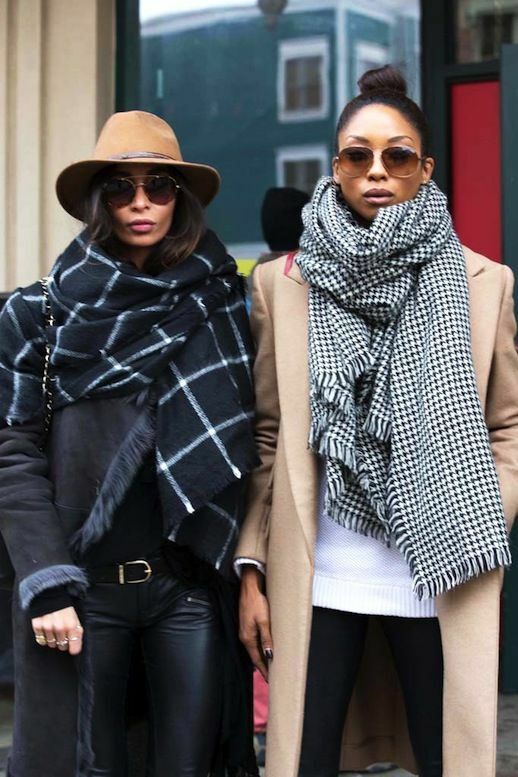 For more of our favorite winter fashion ideas, CLICK HERE.